We are working with a clothing company that wants to increase brand awareness. We have a relatively small social media advertising budget, so we want to make every penny count. The business we’re working with has Facebook, Twitter and Instagram accounts, so the first thing we needed to work out was which of these platforms we wanted to post ads on. We tended to find that we had fewer followers & engagement on Twitter. As a clothing brand, we felt that we wanted a more visual platform. Next, we looked at the world’s largest social media platform: Facebook. With the changes that Facebook made in early 2018, Facebook advertising has shifted slightly. Organic business posts have been phased out, meaning that relevant paid ads now have more visibility. As Facebook owns Instagram it also gives you the opportunity to advertise on this platform, an app that has over 700 million active users, with 50% of users following brands. One of Facebook’s main draws is that your ads can be targeted, so you can get the right content in front of the right users. You can target specific ages, locations and interests. For the brand that we’re working with, Facebook was a natural choice. They have an existing Facebook presence which we wanted to work to promote. What Type of Facebook Ads Should I Use? So, we’ve made the first decision and decided on a social media platform to advertise on. Next comes deciding on the type of Facebook ads we want to use. For an ads newbie, this can all be a little confusing. We recommend that before you do anything, you decide on your objective. 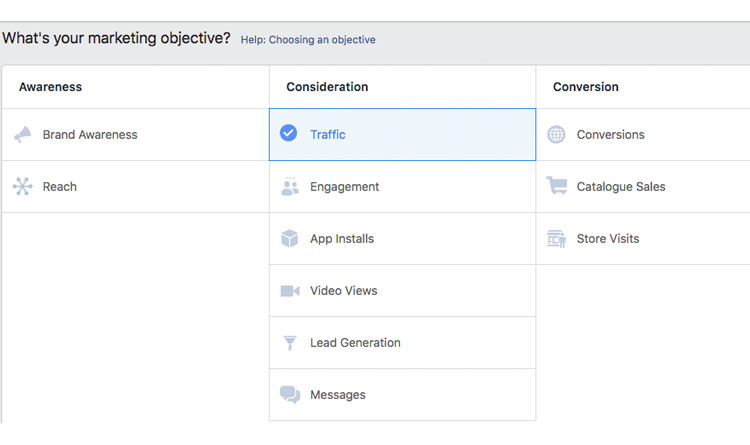 Facebook’s list of marketing objectives can help you work out what’s most important to your company. Phew! For us, our main objective was to increase brand awareness & ultimately traffic to the site. You can specify this when you log in to your Facebook ads manager account. We chose traffic. One of the interesting things you can do when you create Facebook ads is target specific demographics. This includes age, location, gender and language but also goes into more detailed demographics such as interests and behaviours. For example, as a clothes retailer we can target people that like competitor pages. You can even exclude people from seeing your ad, for example people who already like your page. Daily: an average amount that you’ll spend a day. Photo – use imagery to convey your message. Video – tell a story with bitesize video ads. Carousel – lets people scroll through multiple images in a single ad. Slideshow – create a slideshow from images to create video-like ads. Collection – featuring a collection of images for people to discover visually. Messenger – show ads on the home screen of the messenger app. Depending on the type of ad you choose, you’ll get to include some supporting text. This can include a headline, description and destination URL. You can either create a brand new ad or use an existing post. Bear in mind that existing posts won’t get posted to all feeds – for example, Instagram stories. If you decide to create a new ad, this is when you upload the images and text you want it to feature. It’s important that you think about this carefully as you want to make your ad enticing enough for people to click. Advert placement defines where about on the platform your ad will be shown and is something that you can choose. Ads can appear in desktop or mobile news feeds, the right-hand column or Instagram mobile. 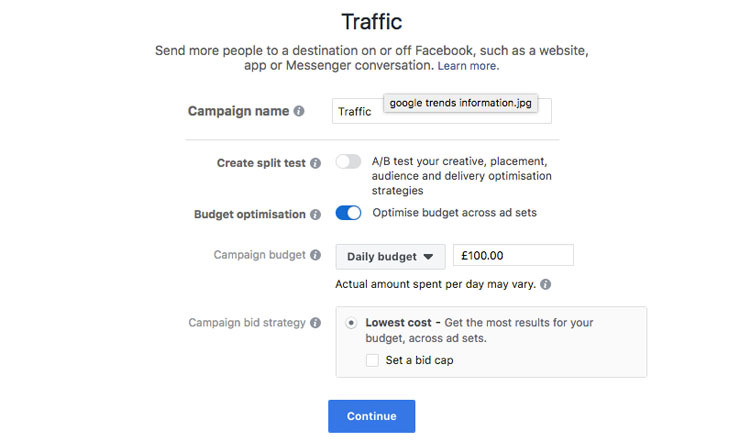 Facebook advise taking advantage of their ‘automatic placements’ feature as it aims to use your budget efficiently and helps to control costs. However, if you want to choose the placements to use yourself you can set this in the “Placements” section of ad set creation. 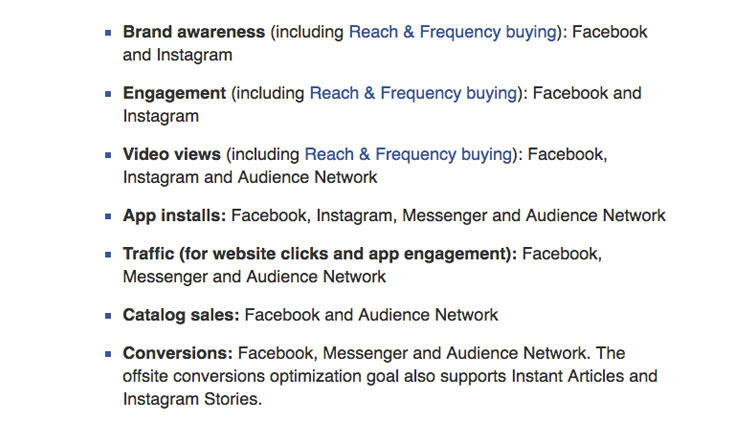 Facebook recommends the following choices depending on the campaign objective that you specified at the start. Once you’ve finished setting up your ad it’s time to place your order. It will then be reviewed Facebook and you’ll get a notification once it has gone live. Like with anything, Facebook ad campaigns work best in conjunction with other digital marketing efforts, including influencer marketing, PPC advertising and a strong social media presence. If you think that you can set up an ad, sit back and watch the conversions roll in, you’ll probably be disappointed. In the month that we used Facebook ads, with a budget of £100, we had over 20,000 impressions, a reach of around 15,000 people and almost 1,000 link clicks. 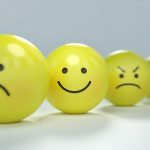 We chose traffic as our marketing objective in the hope of also increasing brand awareness – and this seems to have had an effect. 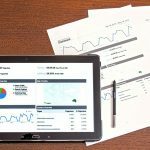 As well as an increase in the number of people accessing the site from social media, there was also an uplift in direct traffic. Overall there was a 900% uplift in traffic to the site, and 96% of these users were new users. 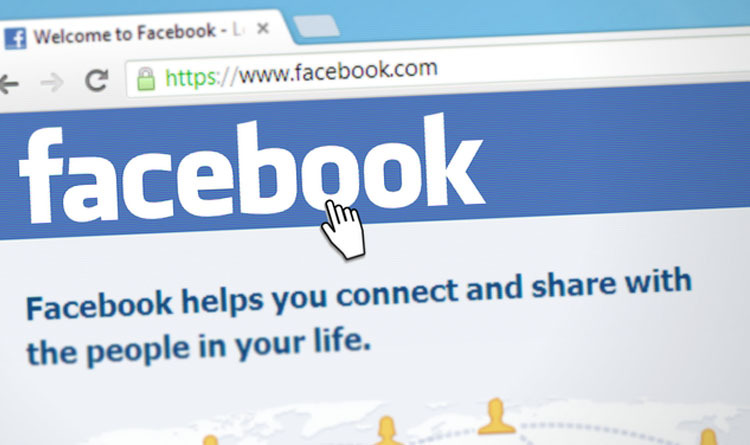 It’s obvious that Facebook can increase brand awareness and help get people to your site. However, it’s up to you to have a user-friendly website and add-to-basket worthy products. 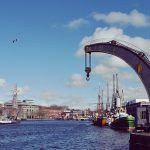 If you’re looking for social media marketing in Bristol, please get in touch with us today.